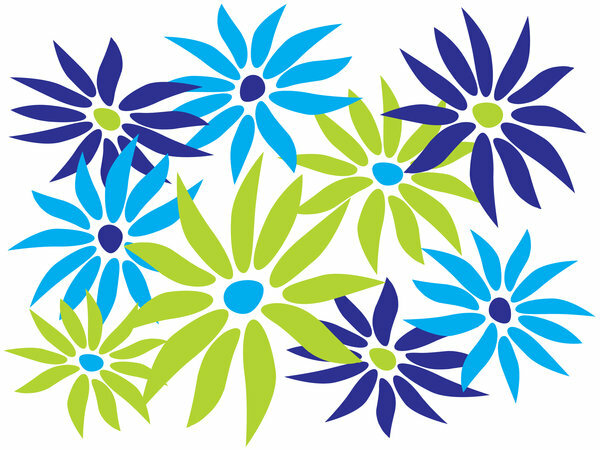 Abstract daisies -blue and green theme. Never saw this image before. I's a bauty!